Raspberry Peach Enzyme: The Raspberry Peach Enzyme is packed with antioxidants for an anti-aging facial for all skin types. It contains only fruit enzymes, with no acids added, and it can be used on anyone, including pregnant women and sensitive skin. The raspberry sooth skin irritations and provides anti-inflammatory-like benefits. Peach softens the skin and is aromatically relaxing, and hibiscus flower and pumpkin add the exfoliating properties to this enzyme. White Peach Nourishing Mask: This mask contains a Winter Complex to address dryness, irritation and photo-aging repair through the use of Dermapep™ A350, Indinyl® CA, and Pacifeel™. Mequon Thiensville School of Esthetics is a certified continuing education facility approved and licensed by the Wisconsin Department of Safety and Professional Service. We are certified to train estheticians to become licensed instructors. 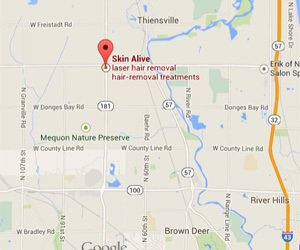 I have been going to the Mequon Thiensville School of Esthetics for over 20 years. I really don’t have any skin problems due to the fact that I have been getting a facial once a month there. The school is reputable and knowledgeable. The skin care products are amazing as well. I absolutely look forward to going there for the amazing facials that make me feel like I am in heaven.